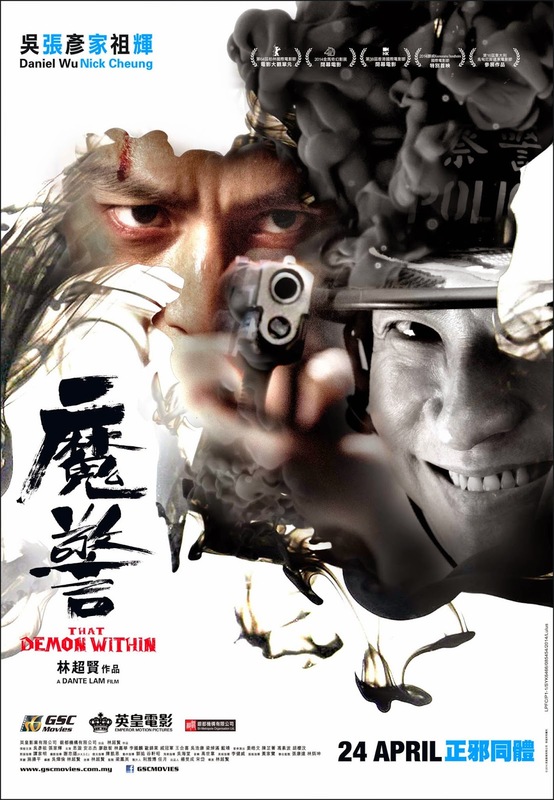 In this psychological thriller directed by Dante Lam (Unbeatable, The Viral Factor), Daniel Wu (Control, Don’t Go Breaking My Heart, Triple Tap) plays Dave, an uptight and righteous cop but because of that and his reclusiveness, he has stayed a low-rank policeman and was transferred off numerous times throughout his career. After unwittingly saving the life of a highly wanted robber gang leader named Hon Kong (played by Nick Cheung), it triggers him to slowly lose control to schizophrenia. 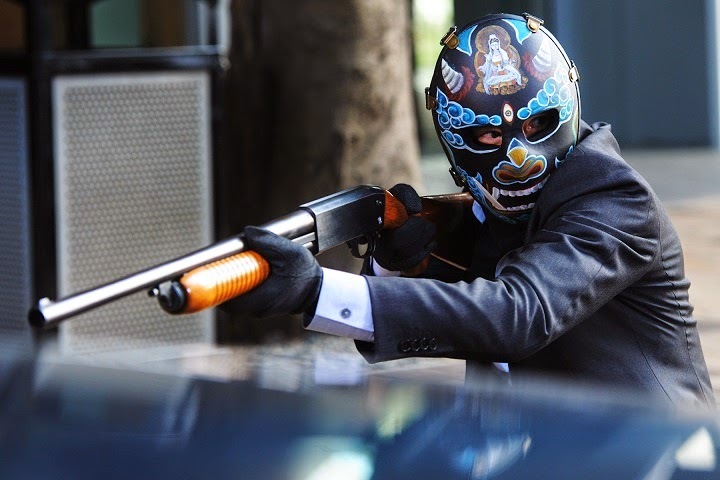 Haunted by the flashbacks of his secret dark past and the guilt of his colleague’s recent death caused by the villain he saved, he decides to take down the dangerous robber gang by himself. Dante Lam’s done a couple of pretty good films in his career and quite a few of them are action films that revolve around themes such as guilt and regretful past of a character. He has been criticised for over-bloating his work with fire action and body counts, which is why I think at this stage of his career now, he’s probably trying to focus more on the character development and story purpose in That Demon Within. He still does play with fire here though, the big brutal fire scenes that were badly CG-ed as usual in Chinese productions. It does feel a bit tiring to go through the familiarities of the genre watching this film, with the same old tricks and structure. Also, not to mention about the whole good cop-bad cop complex that we’ve been seeing in many Chinese films since Infernal Affairs (2002). Kind of sick of that already. What makes it most frustrating to sit through at parts is its slow beginning that mounts to nothing much, and the pretentious slomo sequences of the character in deep thoughts. It’s like as though Lam is screaming for awards, or at least higher (or hipster) recognition for his work. But unfortunately his work needs to be more tidy, as a few minor flaws can be easily noticed. For example, there’s a scene where Hon Kong’s bike crash shoots his body into some objects in front of a restaurant. He’s wearing a helmet when that occurs, but after he lands, the helmet’s completely out of sight when he gets up. One more example, the scene where he’s at the hospital toilet, making a trap for his escape from the cops. At first it’s shown that the concerned nurses are knocking on the doors hard. After he manages to handle he cops, he walks out of the toilet, and the nurses are gone and not single person around seems to care about what just happened. However, the film is not without a twist of its own. Besides the psychological elements and tricky flashbacks that keeps audience guessing until the big reveal at the end, the main character also masterminds a plan to end the robber gang on his own. What I liked most about the film is its symbolism of how society, bad past and long-term pent-up negative feelings could cause one to go mental if no help was taken. It also provokes the audience to question if there’s any authority in our country with hidden mental disorder. But the main message of the story, I believe, is quoted at the closing credits. Too bad I didn’t catch the subtitles. 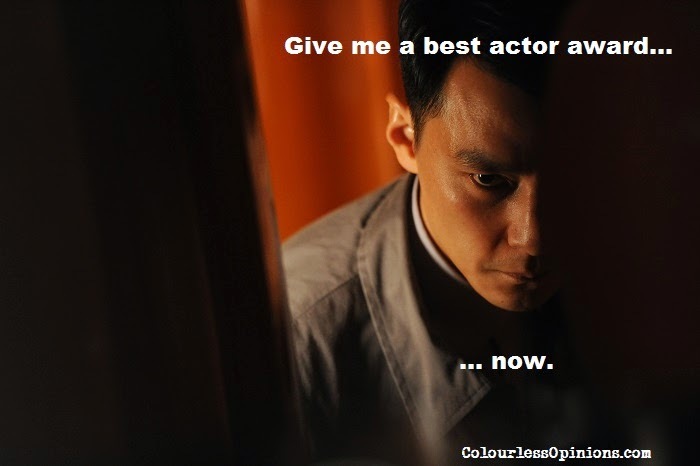 The dialogues are as cheesy as most Hong Kong films and TV dramas, but that doesn’t stop Daniel Wu from putting a creepy, schizophrenic performance for his highly challenging role as Dave. The most commendable scene is where he has to hold the camera with one hand to shoot himself acting out a significantly emotional sequence (like recording a selfie). Nick Cheung’s involvement, on the other hand, is not as impactful as it easily could’ve been. His villainous performance as Hon Kong is just not menacing enough. The little screen time his role has certainly doesn’t help. Censorship in Malaysia: I don’t recall any significant skips at the media screening held at GSC Mid Valley Megamall. Second opinion: My girlfriend’s a Daniel Wu fan, so of course, naturally, she liked the film and thought Wu’s performance was good. Verdict: Unnecessarily slow due its stylistic attempts to fit in to film festivals, but compelling nonetheless despite plot familiarities, with a performance by Daniel Wu strong enough to contend for best actor award nominations.